Do you remember MARNA.inc, a Japanese creative items manufacturer I once introduced? The most popular of their products is Shupatto bag.Half a year later, this item is still very popular. 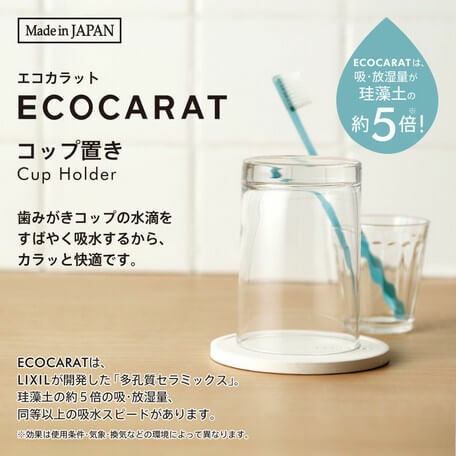 In addition to Shupatto, the Ecocarat series is also items I like very much.This time, we came to their showroom again. Take a look at our trial effect! Shupatto's latest style has been introduced. This new design is not just a change in color, but the original horizontal bag changed to a vertical bag. Have you ever felt inconvenient on a bus because of the large width of your bag?The vertical bag solves this problem. And you can also put a larger length of the product. This has a total of 8 colors to choose from. In addition to women, designers have designed several colors specifically for men.Combined with the business clothing use is very suitable. The new pattern design of the original Shupatto. Since it is a Japanese product, of course there is no shortage of traditional Japanese-style patterns. There are a total of 4 colors. I have a hunch that the cherry blossoms will be sold out in an instant.After all, spring is coming. 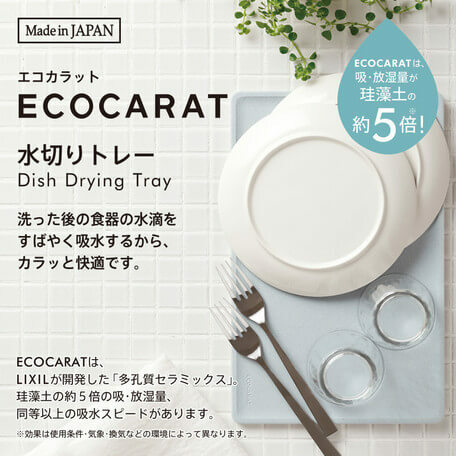 Ecocarat is a new product developed jointly by MARNA.INC and Lixil Corporation. Its texture is the use of porous ceramics. This material has 5 times as much water absorption and moisture release as diatomite. In this case, the cup holder must be a necessary product. The cleaning and drying of the thermos bottle is a world-class problem. In the next video, I will address this cleaning problem for everyone. So what about the drying method? If you use a natural drying method, you may not be able to do it completely dry all night long. 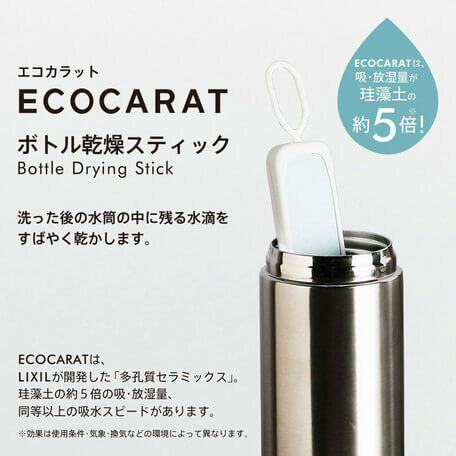 However, as long as you have Ecocarat bottle drying stick, you can make the bottle completely dry within 3 hours.It's a very good product, isn't it? Many people like to make tea with a thermos bottle. But because the mouth of bottle is too small, the bottle body is too long, so every cleaning cannot be completely clean. After a long time it is easy to cause the bottle inner wall yellowing.☕This long cleaning brush with a hard resin material can help you solve this problem. Moreover, it does not require a detergent to clean the tea stains. In addition, its brush head is curved, can be the edge of the bottle also brush clean. This item is a standing item in my kitchen. Not only is the design cute,but it can wash the dishwashing tank shiny without any detergent. How to clean the lid of the thermos bottle? This 3 way brush is a cleaning brush developed specifically for thermos bottles. (⋈◍＞◡＜◍)。✧♡ My thermos bottle was brushed shiny that day. This product was instantly favored by all the staff present. I've been agonizing over where the dishwashing sponge has been placed since I moved home. If put it on the cooking table, it will cause residual moisture to cause mold. If put it in the dishwashing tank, also feel that the sponge bracket sold on the market takes up too much space. So there has been no solution to this problem. I finally has the direction to solve the problem in MARNA's showroom. This product can directly adsorb the suction cup in the dishwashing tank, saving a lot of space than the average sponge frame. In this way, the water dripping from the sponge will also not cause mold. Toilet cleaning is the most hated thing housewives do.The variety of features of the electric toilet is no longer one toilet brush can to complete the cleaning. This 2-in-1 toilet cleaning brush has a large brush head that brushes the inner wall of the toilet edge with the bottom of the toilet. The small brush head is used to clean the nozzle. The cleaning problem of sprinkler head is directly related to physiological hygiene and has to be paid attention to. 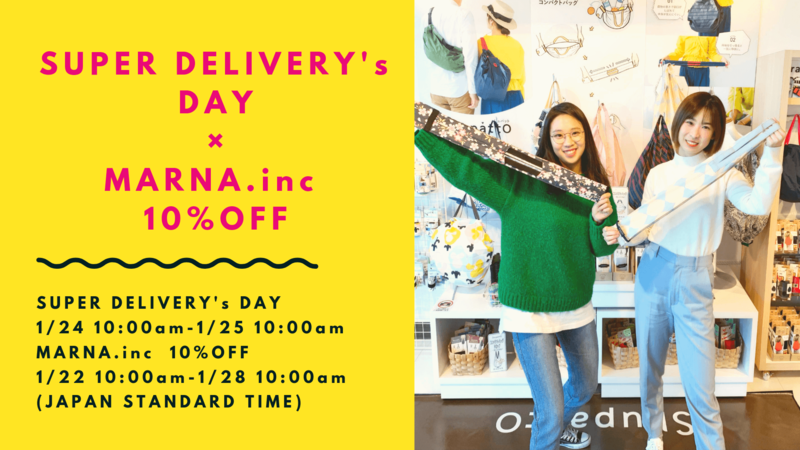 MARNA.inc 10%OFF event have begun. During the event, all members can purchase all MARNA.inc items at 10%OFF wholesale price! Yes, it's all products!